PhD in Electrical Engineering at the technion. Participated in the Technion Excellence Program: October 2002 – July 2005. 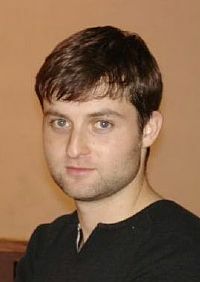 Pavel took courses from different departments and took part in 2 conference publications. He did research on Nano plasmonics under the supervision of David Arbel and Prof. Meir Orenstein. Today (2018): Senior Lecturer at the Electrical Engineering Department, Tel Aviv University.